Welcome to Trinitys IBOsocial page. 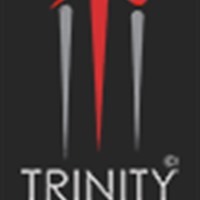 Trinity Builders offer a comprehensive portfolio of Luxury Flats, Villas & Apartments in Kochi. Known for its speedy quality construction, Trinity homes are fast altering the cityscape. Trinity Builders have 9 projects in various stages of completion in three of Cochin’s prime locations, including 2 in Kakkanad. Trinity Builders customer reviews are awesome.